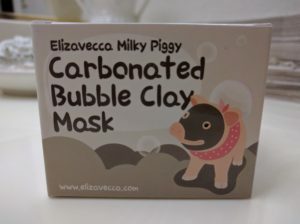 The first product I will be reviewing from my recent Memebox haul is the Elizavecca Milky Piggy Carbonated Bubble Clay Mask. 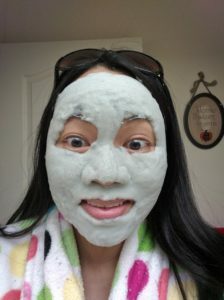 Masks are often considered “gateway products” to Asian skincare. 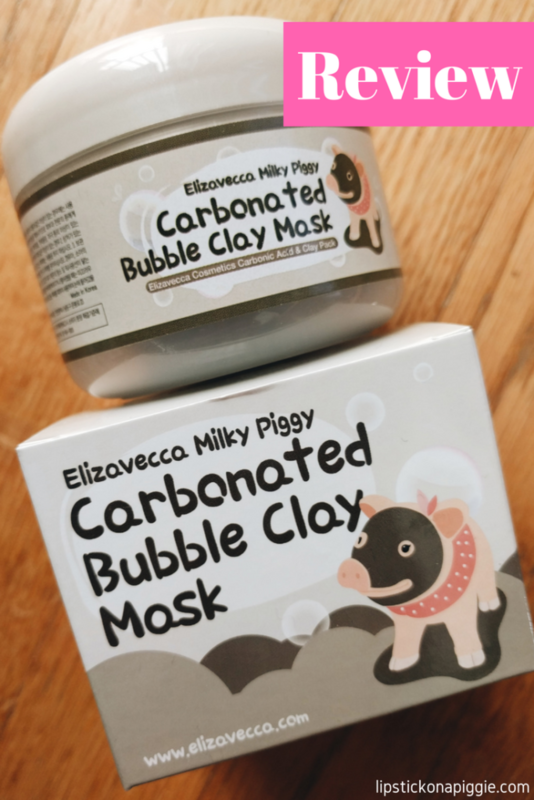 This particular mask is no exception, especially with the cute packaging and bubbling effect. 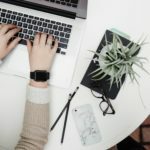 With the affordable price tag, it’s hard not to give it a try! Charcoal has become increasingly prevalent in skincare products which claim to “detoxify” skin and reduce acne. While such claims have yet to be proven by scientific studies, this has not reduced the popularity of charcoal. 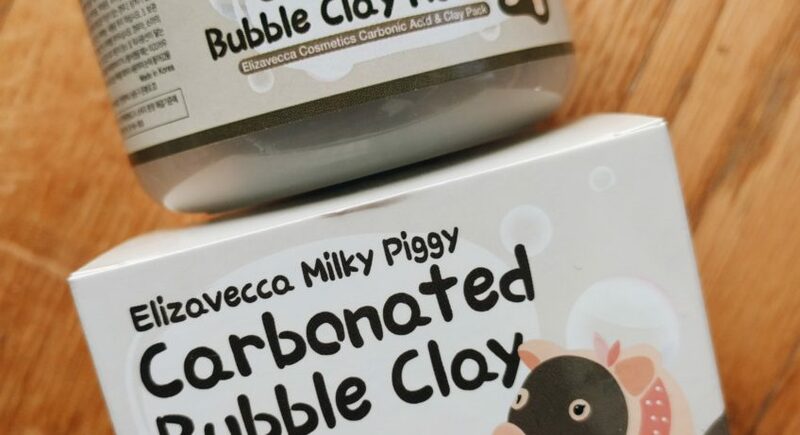 The Milky Piggy Carbonated Bubble Clay Mask comes in a small plastic tub with a screw-on lid. Underneath the lip is a plastic scoop for hygienic purposes. There is also a plastic cap to maintain an airtight seal, keeping the mask from bubbling. 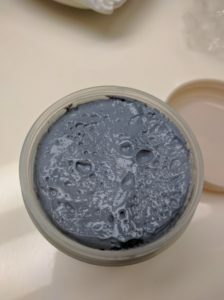 The product itself is a dark grey color. 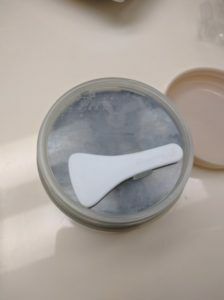 In my excitement, I dove right in an applied the mask to my whole face (after cleansing). The product started to bubble and lighten as soon as it touched my skin, so I had to work quickly to get my face covered. I also had to make sure to quickly put the lid back on the container to limit air exposure. Mask after about 5 minutes! As you can see, this mask really foams up! Even after massaging the bubbles into my face (as per the directions), the masked foamed up again with almost the same intensity. Next time, I’ll have to do a better job avoiding the eye area as I got bubbles on my eyelashes. When it was time to remove the mask, it came off pretty easily in the shower with no residue. I followed-up with the rest of my evening skincare routine. 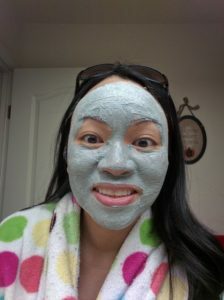 While my face certainly felt clean after using the mask, I felt some mild skin dryness as well. Other than that, I didn’t notice any major changes to my skin. The Elizavecca Milky Piggy Carbonated Clay Mask is a great product for someone new to Asian skincare and not knowing what to try. The mask not only leaves your face leaving clean, but entertains you with bubbles in the process. I’d definitely recommend this as a present or even a party ice breaker. While I plan on finishing my mask, I probably personally won’t be rebuying anytime soon. 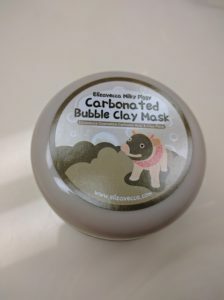 The mask seems more of a novelty product to me, and I hope to find other masks out there that are less drying and provide more skincare benefits. 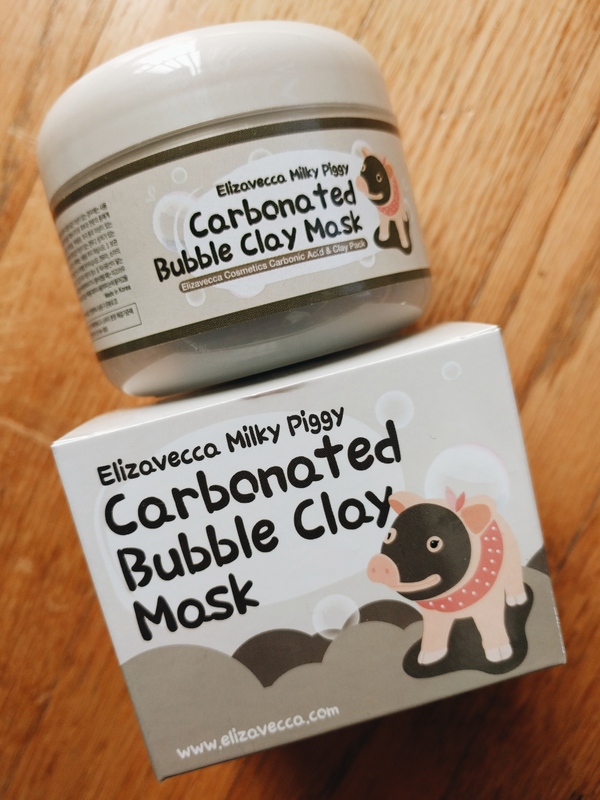 This product can be found at Amazon: Elizavecca Milky Piggy Carbonated Clay Mask.